End your worries about garden problems with safe, effective solutions! This easy-to-use problem-solving encyclopedia covers more than 200 vegetables, fruits, herbs, flowers, trees, and shrubs. 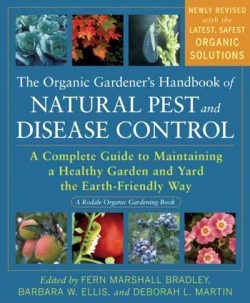 The Organic Gardener's Handbook of Natural Insect and Disease Control combines color photos of both friend and foe with encyclopedic sections on plant problems and organic remedies in this comprehensive volume. If you are looking for answers, this is the place to look.